Coaches, buggies and surries—oh my! 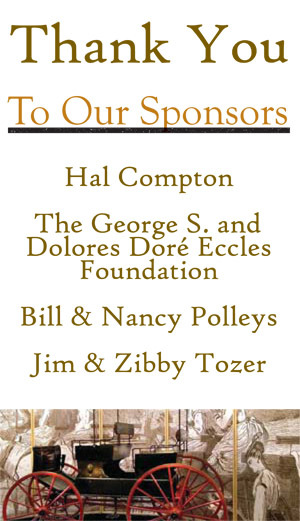 On April 6, 2012, the Park City Museum will host Going Places, a traveling exhibit that explores the evolution, culture and eventual demise of horsedrawn transportation. Before the dawn of the automobile, horsedrawn carriages were essential for providing Americans with goods, services and leisure opportunities. As the standard of living improved during the 19th century, more people began to own carriages. The demand for better roads grew, and better roads allowed people to go places faster and further than ever before. This boosted the economy and paved the way for the Industrial Revolution and the invention of the automobile. This exhibition has been made possible through NEH on the Road, a special initiative of the National Endowment for the Humanities. It is brought to you by Mid-America Arts Alliance. 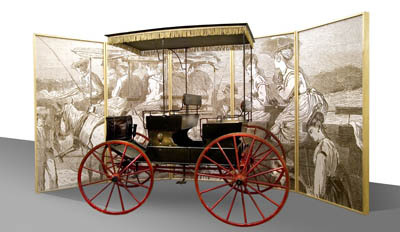 Going Places was organized by The Long Island Museum of American Art, History, and Carriages in Stony Brook, New York. What would life be like without cars? Bring your class to the Park City Museum to participate in a School Program that tours "Going Places." Discover life before the car! Cost: FREE to all Park City, Summit and Wasatch County school group visits. Download and use the following resources in the classroom in preparation for your visit to the exhibit and as follow up activities. Pre Visit Lesson #1 - Introduction to "Going Places"